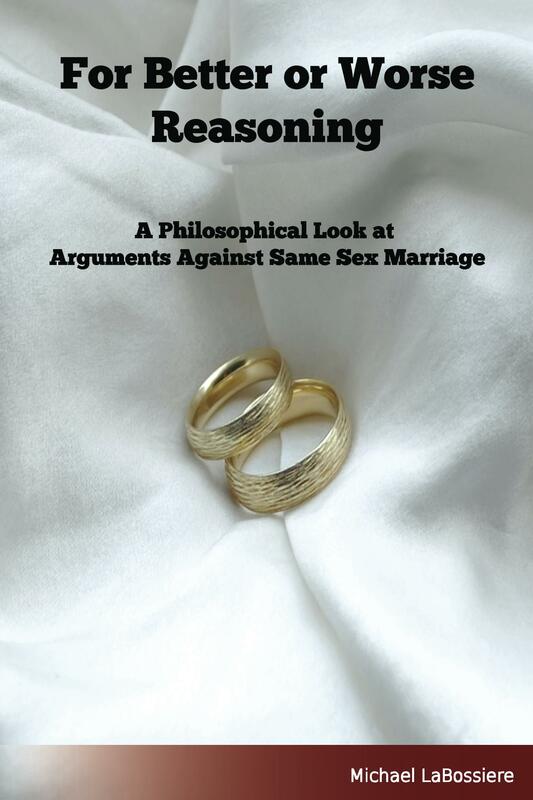 Since I am a philosophy professor, people might suspect that my main intellectual challenges as a professional involve problems in philosophy (or determining how to best turn students into Atheist-Marxist-Omnigendered-Socialist Intellectuals). However, this is not the case. I have two main areas of challenges that eat up significant mental resources and they have nothing directly to do with philosophy. The first area is countering cheating. As might be imagined, the small percentage of students who cheat include a number of innovators. These innovators constantly develop new methods of cheating (or refine old ones) that are then copied by the less inventive cheaters. Obviously, the advent of smart phones has created new avenues of cheating, which faculty counter by requiring students to put away their phones. However, clever students have made use of blue-tooth earpieces to listen to their audio cheat files. The smart watches (such as the upcoming Apple device) also provide a means of cheating. Of course, some students still go old school in their cheating, relying on crowded classrooms to cover their copying of others or from their cheat sheets. Some also take the approach of cheating after the fact, such as altering test answers and claiming that the professor marked them wrong. Some even claim that the professor lost the test or paper that was never actually turned in. A few years back I had a small outbreak of this sort of after the fact cheating and countered it by snapping photos of all the graded answer sheets with my iPod Touch. This year, some students tried to counter that counter by claiming that I had given their tests back before I took the photos. I had already started moving to Blackboard and my counter will be to let Blackboard handle this problem. Of course, this creates the problem of countering cheating on Blackboard. Some programs require students to buy proctoring devices and software that record the student taking the test. Currently, I do not have that option. However, during test runs this past year I was able to create questions that required knowledge of the material and simply having access to books, notes, and the web did not help. Randomizing everything (questions and answers) also helps, as does setting a time limit. I suppose that the students can do a George W. Bush and get other people to do the thinking for them, but I suppose that at least teach them about how life actually works. The second area is minimizing unproductive time. As with most jobs, being a professor involves a fair amount of annoying work that is essentially a waste of time from the standpoint of the true goal of the profession. For example, I spend hours each semester handling emails that are not about the course material, but are about various issues a few students have created for themselves. For example, a student might regularly miss classes and email me after every missed class asking about make-up work or what was missed. As another example, students will email me with questions that are explicitly answered in the syllabus. As a final example, there are the students who arrive at the end of the semester to explain, at great length, why they did not do the work during the semester. And, of course, there are the make-up exams, late papers and administrative ordeals that eat away time that should be spent on things like improving course content. But, at least in these cases I am interacting with students.However, I also face the challenges posed by administrators. My objective over the years has been to try to spend my time as productively as possible. While technology has helped a bit, it has also hindered it. One obvious example is email. Back in the day, people had to call me or come to my office and eat my time in real time on their own time-now email is chewing away 24 hours a day. On a typical day, I’ll wake up at 5:00 am to find dozens of emails have been sent since I checked my email at 8:00 or 9:00 the night before-I often get some that were sent at 1:00 or 2:00 am. Apparently being nocturnal is a common thing these days. People do, of course, expect rapid replies-I’ll get emails asking if I have seen the previous email. I’ll go through one example of a common time-waster and show how I have endeavored to counter it. As most professors will tell you, one major time-waster and annoyance is make-up work. While some students are good about handling missed work, the common cycle is this. The student begins by missing the work (such as a test). Oddly enough, students often do not seem to realize they have missed something, so a few years ago I started emailing everyone who missed a test to let them know and what was to be done to make up the work. In most cases, the students ignore the email for a while and then, usually near the end of the semester, they start sending emails about make-ups, typically saying they will come in at time T. As might be guessed, time T passes without the makeup being done, which is followed by more emails. Students who attend class also do this in person, usually while I am either trying to set up for class or trying to get to my next class. Eventually (usually at the last minute) everyone shows up at my last office hours wanting to complete their make-up exams. For good measure, people usually show up to be advised or with other problems at the same time, thus creating a bit of chaos. Naturally, I do try to convince people that they should consider coming in the day before the last day-I have five hours of office hours that day. But, people seem to prefer showing up for the last office hour. I did try a no make-up policy for a while, but that proved…problematic. Some professors do stick to such a policy-a friend of mine on a grade appeals committee says that those professors’ students routinely file appeals semester after semester until the professor just gives up. I also tried building make-up work into each class. For example, my Critical Inquiry class has 27+ assignments and only the best 10 count. My reasoning was that with 27 assignments, students would surely not ask for make-ups or need them. That proved to be incorrect-since students had to turn them in at the start of class so we could go over the answers, this resulted in many students either not showing up on time or not showing up at all. Also, the assignments came from the book and students are very reluctant to buy the book (although the insane prices of text books makes me sympathetic to this). I then turned to technology and made the assignments available on Blackboard. That way students could do them at anytime from anyplace their smartphones worked. As I expected, the percentage of completed assignments increased and their was a decrease in people emailing me to ask about making up assignments. However, I was slightly surprised that the increase in completed assignments was relatively small. That is, even though the assignments could be done just about anywhere at anytime, a significant percentage of students simply did not do them. When I taught my hybrid class I also noticed the same when it came with tests: although the tests were available for an extended period of time (weeks in some cases) and could be done with a smartphone or tablet from almost anywhere, the percentage of people who did not complete the tests before the deadline was only marginally smaller than that of a traditional class (and well within the boundaries of chance). Naturally, I got emails from students asking me to open the tests up for them again. And, of course, Blackboard added some new problems, such as Blackboard issues preventing students from finishing tests. However, most problems were still student related, like people trying to take tests at work and getting interrupted by, you know, work or students using unreliable connections to take tests. But, I keep endeavoring to minimize the time I have to waste. I now suspect that there is a constant Tr (for Trouble) that cannot be eliminated no matter how I design my classes. This probably connects to the Peters’ Principle: my friend Michael Peters noted that 10% of his students caused 90% of his problems, no matter what he did. I have found that to hold true: my typical class is 38 students and I usually have 3-4 students who generate the majority of the problems. The other 90% generally do what they are supposed to do (such as showing up and doing the work on time). But, the Troublesome Ten more than make up for them. Given that Tamerlan Tsarnaev did apparently turn out to a threat, it is tempting to infer that the FBI did drop the ball. Now that it is known that he was a threat, people are going back and reconstructing the evidence that he had become radicalized, such as his YouTube links and his outburst at a Mosque. However, this temptation should be resisted (unless evidence emerges to the contrary). In regards to tracking people and predicting whether they will become a threat, the FBI faces two main philosophical challenges. The first is epistemic: that is, how do they know that a person will become a threat? This, as might be imagined, can be rather problematic. After all, as some commentators have noted, the FBI checks on many people every year and the vast majority of them do not turn out to be threats. To use the obvious analogy, some people have mental health issues that might lead to serious violence, but the vast majority of such people never actually engage in such violence. When someone with such issues does engage in violence, people endeavor to backtrack and look for what was missed-and it always seems that the definitive evidence is never found. This might be because people have free will, because behavior is ultimately random, or because we lack the epistemic abilities to find the key evidence. Or something else entirely. In the case of Tamerlan Tsarnaev, it might be found that there is no decisive evidence that would have revealed him to be on the (alleged) path to the bombing. That is, given the reasonably available evidence, perhaps the FBI lacked an adequate reason to expend its limited resources in tracking Tamerlan Tsarnaev in detail. This possibility seems likely. As is often the case, the only definitive evidence that a person will engage in violence is when the person actually does so. Naturally, it would be rather useful to be able to definitively sort out the pre-criminals/terrorists before they act-but this is a rather difficult challenge given our capacity to know. The second challenge is ethical and deals with such matters as the right to privacy and concerns about having a police state. While the state could keep closer checks on people who are even suspected of being potential wrong doers, there are obviously moral concerns with such an invasive state. The recent battle over expanding background checks for gun purchases showed the extent to which some people are concerned about matters of privacy and rights even in the context of public safety. After all, if there are significant concerns with expanding background checks for buying guns, then one can only imagine to concerns with having the FBI keeping close tabs on people on the basis of a foreign state making an inquiry about them and other such reasons.